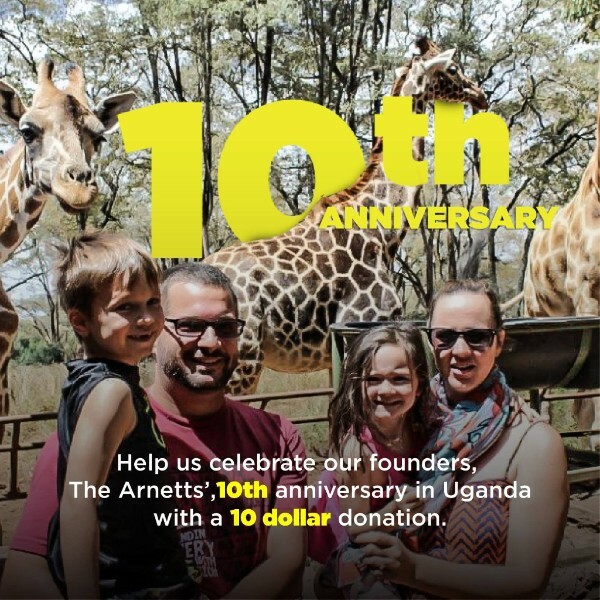 Help Celebrate 10 Years of Ministry in Uganda for Rising Star founders, the Arnett's. Matt and Brecka Arnett landed in Uganda on October 7, 2008, their second wedding anniversary, to begin work as missionaries in Uganda. After serving in Uganda for two years, they began Rising Star Ministries. Over the past ten years they have experienced high and lows, but made a huge impact in Uganda. Help celebrate 10 years of ministry by making a simple $10 donation to Rising Star and show your appreciation for the work they have done. To celebrate, the Arnetts shared ten memorable stories from the past ten years in Uganda. Click on this link to watch all of them.